Today, nearly half the population of sub-Saharan Africa still live on less than $1.90 a day, causing widespread food insecurity and hunger. Absolute poverty rates in sub-Saharan countries in Africa have barely fallen in the last 30 years, despite massive flows in both development aid and resource extraction investment money (from mining, oil, gas). Poaching and illegal harvesting of wildlife from National Parks and private protected areas. The main issue is often not the lack of money, but the unequal distribution of money. This has not been corrected by the prevalent development aid paradigm, as a large percentage of aid money is typically lost to corruption, spent in the donor country or on ‘overheads’. A different aid paradigm is now under active consideration using the Basic Income model – transferring cash directly to those in need and giving them full control over the money. This massively reduces overhead expenses and prevents corruption. It also gives agency to those normally excluded from decision making, especially to women. 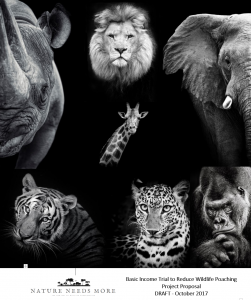 Whilst most Basic Income trials have and continue to focus on poverty alleviation, the emancipation of women, health and education outcomes, we want to demonstrate that increasing food security, social justice and economic activity observed in other trials in Africa and India will, in addition, directly lead to a reduction in poaching and illegal harvesting and hence protect precious wildlife. There was evidence that this could be the case in a 2009 Namibian basic income trial. 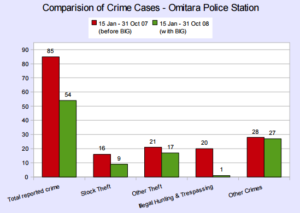 Whilst the trial was not directly linked to conservation, they did see a great reduction in illegal hunting (see graph). 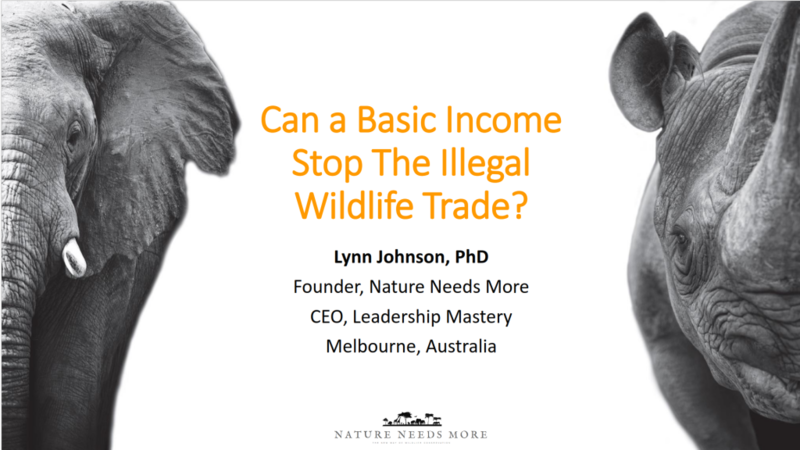 Project Proposal – Can a basic income stop the illegal wildlife trade? 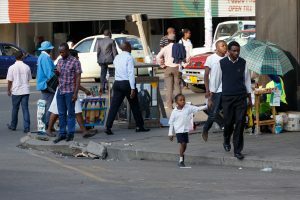 The Nature Needs More team is currently investigating the feasibility of running a 2-year Basic Income trial in Zimbabwe, starting in early 2019. We were invited to present our concept at the 2017 Basic Income Congress in Lisbon and we undertook a 2-week field trip in Zimbabwe in November 2017 to discuss the design and location for such a trial with a number of stakeholders. The findings from this trip have been incorporated into our final draft proposal. We are aiming to follow the proven GiveDirectly model of enrollment and distributing cash via mobile payments. We will partner with a research institution to collect the baseline data and for the evaluation of the trial. We are currently exploring a partnership with GiveDirectly to run all the practical aspects of the trial (enrollments, payments, support, fieldwork). “What would you do if your income was taken care of? For the Nature Needs More team it would be even more interesting to test this question in a country such as Zimbabwe, which has the highest unemployment rate in the world, at over 90%. In addition, Zimbabwe has high rates of wildlife poaching, from elephants and rhinos to pangolins for illegal trafficking and many species of antelope for local wild meat consumption. 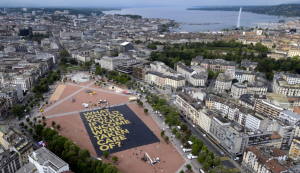 The Basic Income is Not Left or Right. 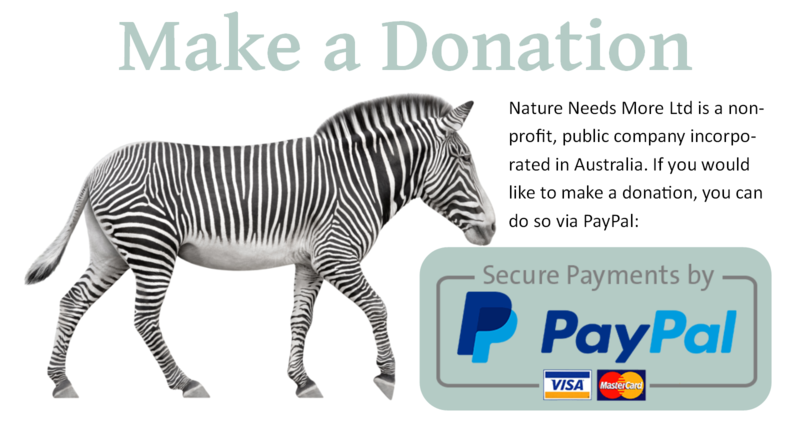 If the basic income model can be used to overcome food insecurity, survival anxiety and family wellbeing issues in highly stressed populations living close to conservation areas, can this lead to securing vulnerable populations of, animals such as rhinos, elephant and pangolins? These are the questions Nature Needs More is exploring with our proposed Basic Income trial. You can be a part of this trial by joining the Global First 5000. We were invited to present at the 17th Basic Income Earth Network Congress in Lisbon on September 25, 2017. Please click the image below to download our talk.